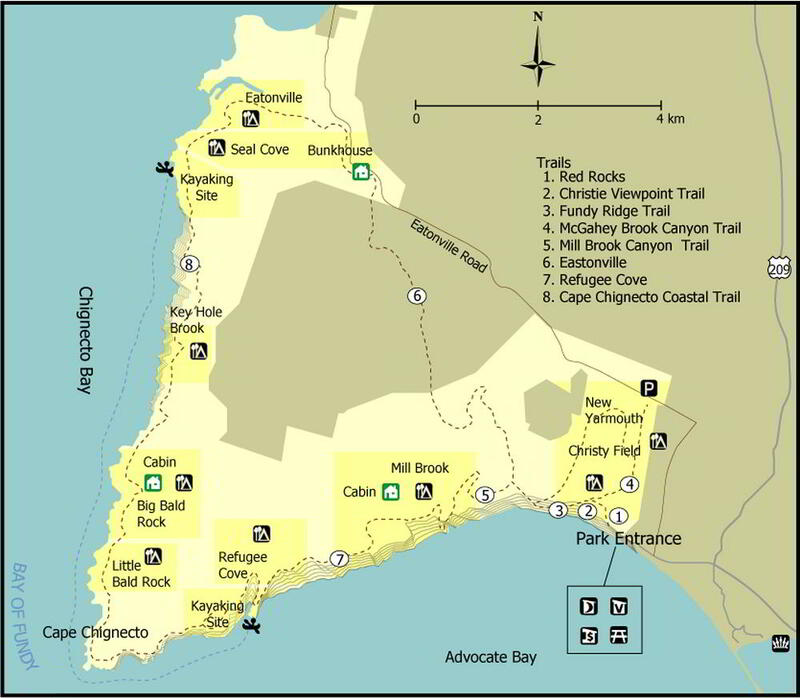 Information This challenging and visually rewarding 51 kilometre loop within Cape Chignecto Provincial Park offers views of Nova Scotia's significant geological features, valleys, old-growth forests and dramatic tide changes. Suggested time to complete the hike is 3-4 days in order to take advantage of the scenery, and to explore the beaches along the way. In order to complete this hike, a back-country travel plan must be left with park staff upon entering the park. Park or camping permits are required, and visitors must check in and out with park staff. Hours The park season is from the May long weekend to the Thanksgiving weekend in October.